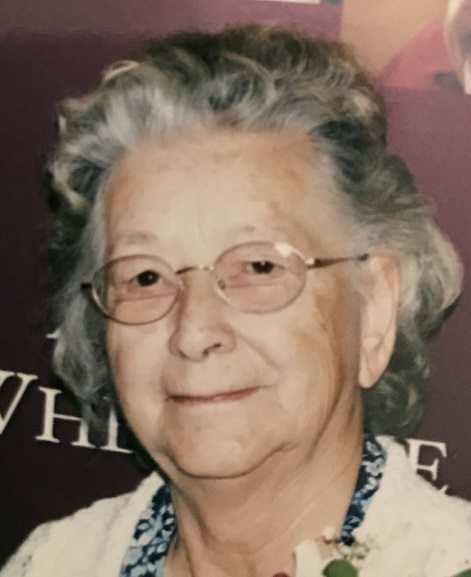 Alta Almeda Babbitt, 88, of Grayling and long time resident of Escanaba, passed away on March 18, 2018. Alta was born on Oct. 29, 1929, in Flushing, Mich., to the late Wyman and Alma (Brainerd) Walker. She married David Bruce Babbitt on Aug. 26, 1967, in Otsego Lake Township. Alta was an active and involved member of Blessed Hope Baptist Church of Escanaba. She enjoyed gardening, canning, and many other crafts. Survived by her husband David of 50 years; children, Randall Meoak of Houghton Lake, Richard (Linda) Meoak of Howell, Rodney (Tina) Meoak of Alpena, Suzan (Jim) Bitner of Pennsylvania, Deborah (John) McGinnis of Wisconsin, Dianne (Lonnie Hauck) Meredith of Florida, Brian Babbitt of Petoskey, Robert (Tami) Meoak of Ohio, and Jeanette Babbitt of Petoskey. Alta was also blessed with 20 grandchildren and 40 great-grandchildren; brothers, Bernard, Kenneth, and Melvin Walker. Preceded in death by Robert James Meoak, father of Randall, Richard, Rodney, Suzan, Dianne, and Robert Meoak; son, Richard Babbitt; daughter, Lori Johnson and an infant daughter. Memorial services celebrating the life of Alta will be held at 11:00 a.m., Tuesday, May 15, 2018 at Blessed Hope Baptist Church in Escanaba with Rev. Lewis Hague officiating. A luncheon will be served afterward in the church fellowship hall. Interment take place at Maple Forest Township Cemetery.